"Is that really how it happens", Hosh asked in amazement. "It's not that bad in New Zealand," replied Rosh, "but the head-butting with any service provider anywhere can be similar, more or less. Banks are no different." "Awareness about fees and charges grew a lot after a fees related class action was brought against eight Australian banks in 2013, the largest in Australian history. There are some interesting GetUp! Australia YouTube videos about that." "What happened in that class action case?" Isha asked. "It is now being appealed, but the Federal court ruled that the late payment fees ANZ bank charged customers were extravagant, exorbitant and unconscionable." "Justice Michele Gordon however, also ruled that other fees ANZ bank charged, including honour and dishonour fees, and over-limit fees on credit cards, were reasonable." "So for the moment, it's business as usual for the banks?" Isha asked. "Things are changing," answered Rosh, "Civic awareness helps keep big business more honest." "Some New Zealand banks don't charge interest on bank fees now. The four biggest New Zealand banks are after all, Australian owned." "Pa, who has to pay off your card and fees when you die?" Josh asked, "your relatives? If you have a loan and you die, will the bank track me down? Will they chase a second in charge for your company and make them pay? Seems a bit unfair to the relative or company 2IC, but what else could the bank do, I guess, if someone died." "Those are two separate issues," answered Rosh, "one about personal and the other about business credit or debt. So, their treatment varies. It can also depend on how the loans were structured. Also different banks have different requirements or processes." "But generally, when someone dies, the bank freezes their bank accounts and assets, up until the time the bank can be repaid from their estate or they receive a legal authority from someone else to operate the deceased person's accounts." "Since Ma is a joint credit cardholder with me, after my death she would initially be held responsible to pay off any dues, interest charges and fees on our joint account." "She can cancel my card by notifying the bank in writing, and returning the card to them, cut in half." 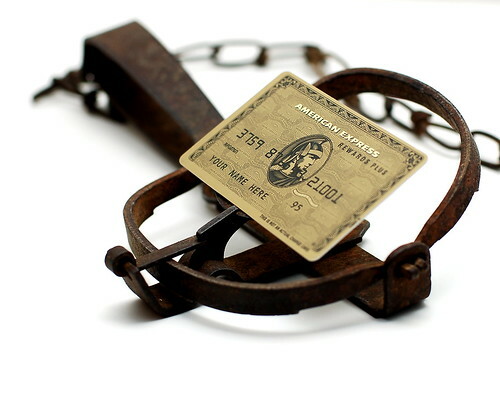 "Some banks allow that," said Rosh, "but cards and card numbers are the property of the bank. If they tell you to return or destroy your card, then you must do so." "Legally, all of the joint cardholders are held 'Jointly and Severally Liable', which means that the Bank may choose to chase either or all of them for their money." "Once my card is repaid and returned, the bank will then freeze the joint credit card account, and Ma'll have to get a new credit card made just in her name." "Both of us will however, remain liable for any unsettled transactions that were initiated before cancellation, as well as for any costs and expenses after cancellation." "Even though you are not directly responsible for my loans as you are neither a Joint nor Additional Cardholder on my credit card account, you are my son." "You may inherit a part of my assets along with any mortgages there may be on them. If that happens, you will inherit both the asset as well as the liability on it." "The two go together, and you essentially get only the net worth, because you can't inherit what already belongs to someone else." "When something has a mortgage, lien or loan attached to it, its control, in full or in part, belongs to the lender even though you legally own it." "So while legally I own the house I live in, if there is a mortgage on it and I default on my repayments, the bank can legally turf me out and do a mortgagee sale on it." "Banks make sure they are covered for such an eventuality, otherwise why will they lend you money against the house or some other asset." "If the asset is owned by your company, Banks can hold both the shareholders as well as Directors responsible for repayment, even though they may not be your relatives." "If mortgaged assets are owned by your Trust, repayments generally need to be made by Trustees (not the beneficiaries), even though they may not be your relatives." "There's obviously more to all this, but that's a story for another day. At least you know the basic related stuff now." "Am I going to inherit something in your Will, Pa?" Josh asked. "I haven't made a Will yet", Rosh answered, "Wills can be changed anytime and any number of times depending on how I may be feeling, even if I had made one earlier." "Anyway, don't dwell on what you may or may not inherit. Make your own life, career and wealth. You may get nothing, or there may be nothing left to give, when I actually go." "I tried to give you a good life, good education and a good upbringing. I may also leave goodies for you but I tried to give most of what I had while I was still alive." "So, expect nothing more from me. Then you won't be disappointed. For now, go and dig up your own wells, so you and yours may not go thirsty tomorrow."